The TEP technology is a full solid state device which use cheap and common electronic components. The Law of charge conservation can be written "Electricity is never created or destroyed, but only transferred" or like this "In any closed system the sum of all electric charge remains constant ". 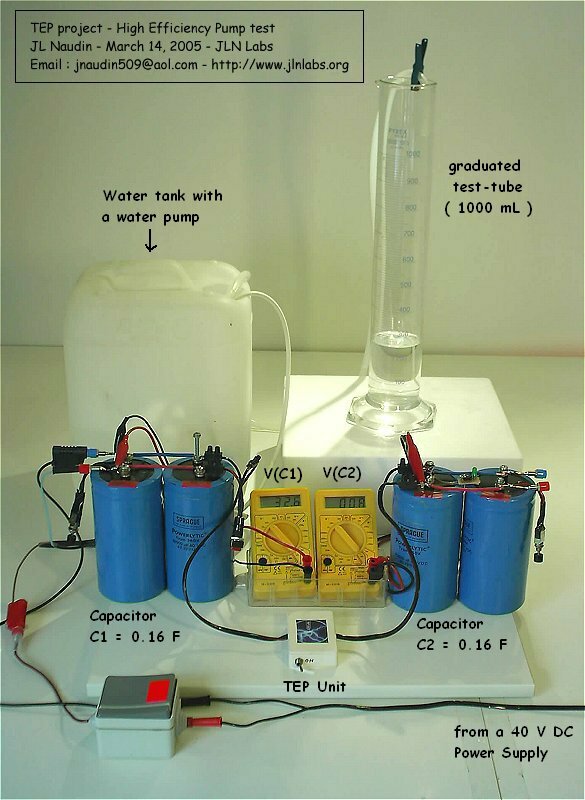 The HEP experiment is the use of a common and cheap water pump in conjunction with the TEP technology for building a High Efficiency water pump device. The HEP experiment uses a water pump to convert the charges flow into mechanical work4, driving a pump and rising water. 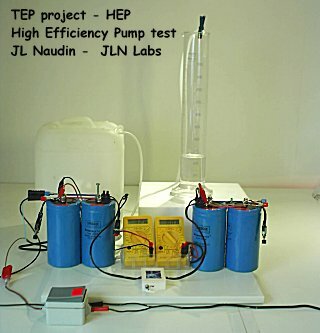 The HEP experiment demonstrates easily that when the TEP device is used more than 250% of water can be raised than without it. The HEP experiment is fully and easily replicable. The HEP is fully scalable. 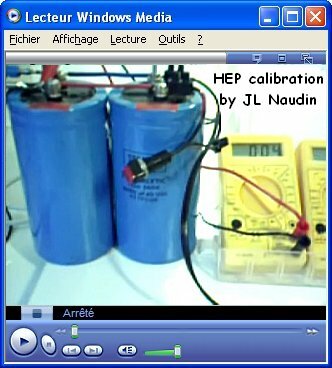 The HEP/TEP device is not yet a true overunity device is energy term, but it is able to produce a highly efficient mechanical work by converting motion of charges which has created itself than any conventional solid state devices. 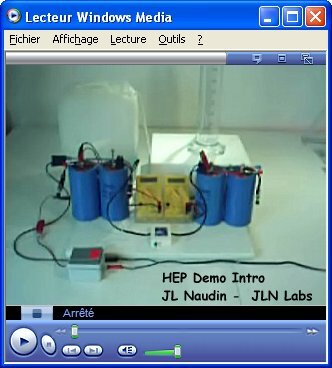 The HEP experiment uses a DC immersed pump to rise water. 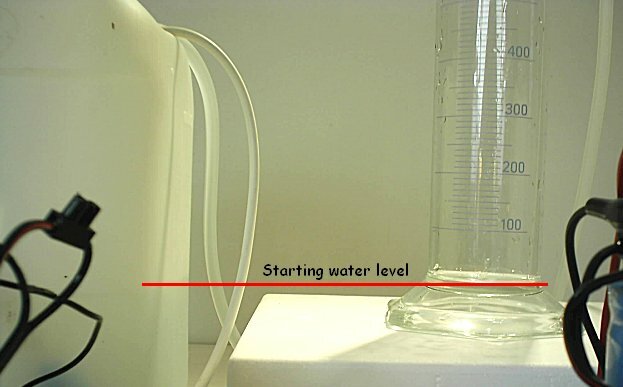 The water level is accurately measured with a 1000 mL graduated test tube. The TEP unit is a full solid state device. A switch allows to bypass the TEP circuit. Step 1, the cap C1 is charged through the water pump, the water volume is noted (385 mL). Step 2, the cap C1 is discharged through the water pump, the water volume is noted (355 mL). The losses can be easily calculated and this give an measurement efficiency of 92% (8% of losses). Step 2, the charge of the cap C1 is transfered through the 1 ohm resistor to the cap C2, V(C1) = V(C2). Step 3, the cap C1 is discharged through the water pump, the water volume is noted (135 mL). 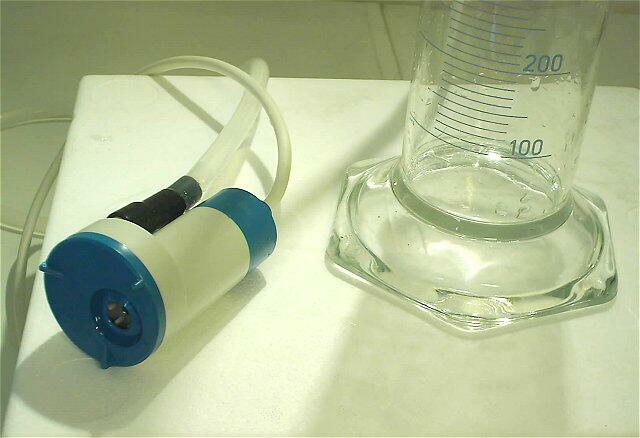 Step 4, the cap C2 is discharged through the water pump, the water volume is noted (110 mL). This test is fully in line with the charge conservation law. V(C1)=V(C2) and the total charge is <= initial charge. The final volume of water transfered ( 135 mL + 110 mL = 245 mL ) is lower than the initial volume ( 355 mL, see the calibration test step 2). Above : The experimental results of the calibration and the blank tests. Step 1, the cap C1 is charged through the water pump, the water volume is noted. Step 3, the cap C1 is discharged through the water pump, the water volume is noted. Step 4, the cap C2 is discharged through the water pump, the water volume is noted. 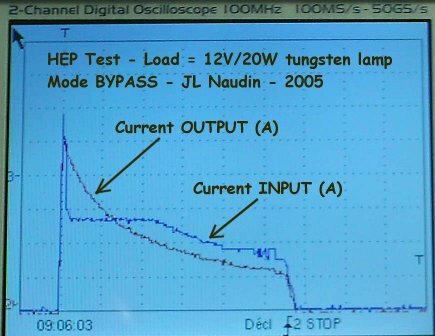 The measured efficiency of the Test RUN #1 during of the charge transfert through the TEP is up to 264%. 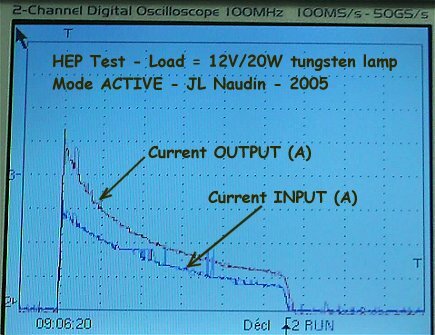 The measured efficiency of the Test RUN #2 during of the charge transfert through the TEP is up to 250%. 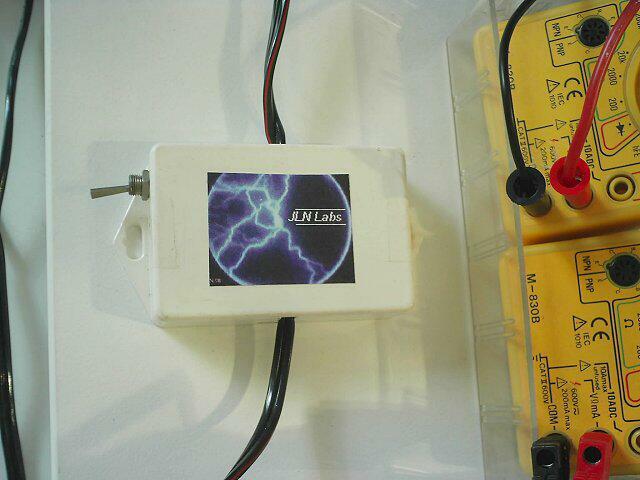 while only 70 mL of water (step #7) is used to pre-charge the main capacitor C1. you may notice that after the step #12, the HEP begins very efficient. 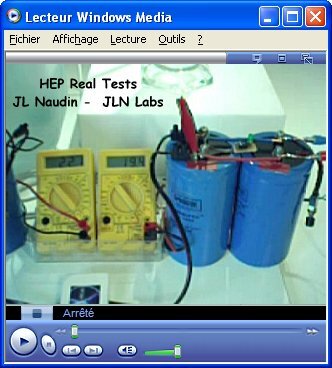 Below, you may see by yourself the full videos of the HEP TEST RUN. with the TEP disabled (bypass mode) and with the TEP enabled (active mode). You may observe clearly that electric charges are created ( Q=I*t ) when the TEP is actived.